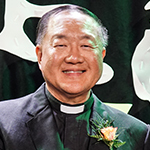 It’s with great joy and thanksgiving that we come together to celebrate and support Fountain of Love and Life (FLL) on its 13th anniversary of evangelization and devoted service to the Chinese Catholic community. In this past 13 years, we have witnessed Fountain of Love and Life progressed from the dream of a few committed Catholics to a brilliant media and communication ministry reaching out to many countries in the world. We are so thankful to be the beneficiaries of the many spiritual and evangelization programs on radio, television and the internet. 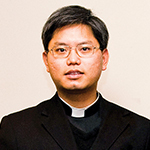 The faith of the Chinese Catholic community is strengthened and we become more joyful as a result of these programs. Today, many listeners and viewers of FLL experience their Faith coming alive again. Their faith is no longer a purely personal affair but a dynamic faith of volunteerism and commitment to spreading the Good News of the Gospel. They witnessed and celebrate their faith by reaching out to those who are most in need of their help in our community. FLL has the power to change the minds and hearts of its listeners and viewers and turning them into dedicated missionaries for Christ. The future is bright and promising for FLL. 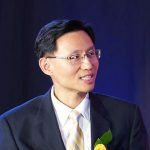 My prayers and hope are that our Chinese Catholic community will continue to generously support FLL in this multi-media ministry and I am confident that God will reward you a hundredfold for your continued support and generosity. The theme of this year FLL Gala is Faith Alive 信•飛揚. On this occasion, let us give thanks to almighty God for the gift of Catholic faith and for the privilege of participating in the work of evangelization. Here in Vancouver, we are excited of the new initiative of having monthly recollection on First Thursday evening at St. John the Apostle Parish. With Holy Mass, Adoration, meditation and spiritual talk, our participants strive to deepen one’s interior life and thus better equip for mission. We also pray especially for the work of evangelization. Thank you for supporting FLL! 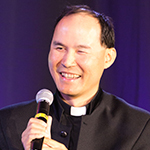 This ministry has brought together Chinese Catholics from different locations and backgrounds. May we continue to work and pray together for the spreading of the Gospel. One of the privileges of being part of FLL is to be able to spread the conversion stories of the many wonderful individuals we encounter. Whether it be the story of a canonized saint or of an ordinary lay person, in the telling of their simple story, we encounter a glimpse of the extraordinary wonders of God. Perhaps it is in the telling of a story that we can see most readily how God is alive today. This testimony is a living Gospel. It has the power to strike our soul: it evokes hope and it makes our faith come alive as well. Today’s news channels are obsessed with bad news and relativistic opinions. It is not easy to find good news and truth. Thank you FLL and all its members, for your courage and commitment to let God’s voice be proclaimed! And thank you all for your spiritual and financial support toward FLL. FLL can only do what their resources allow them. If we were to be able to continue this work, we will need to be able to afford more staff and more space — for growing our Mandarin programming, for volunteers’ fellowship, for training and formation. May the Lord raise up more benefactors, and may the Lord also raise our generosity in this important work of evangelization. And may the Lord richly reward you! With a joyful and grateful heart, I would like to welcome all of you to tonight’s gala celebration as we give thanks to God for the 13 years of graces and providence He has bestowed upon FLL and entrusting us with the mission to bring His presence and love to the world. This year’s theme is Faith Alive 信•飛揚. Faith is a heavenly gift to be celebrated, witnessed, and spread! A lively faith rejuvenates our lives and lifts up our spirit! It empowers us to soar to new heights we have never dreamed of. Through this theme, we hope to encourage all of us to live out our faith fully, joyfully and fruitfully. When our faith is alive, we are eager to share it with others, to serve others in the community, and to become true missionary disciples of Christ. After years of engaging in the mission of evangelization, we have come to realize that how we Catholics perceive our faith characterizes our community at large and is a determining factor of whether we can successfully nourish a missionary eagerness in our parishes and Catholic communities. In virtue of their baptism, all the members of the People of God have become missionary disciples (Mt 28:19). All the baptized, whatever their position in the Church or their level of instruction in the faith, are agents of evangelization, and it would be insufficient to envisage a plan of evangelization to be carried out by professionals while the rest of the faithful would simply be passive recipients. The new evangelization calls for personal involvement on the part of each of the baptized. Responding to the appeal by Pope Francis in Evangelii Gaudium (Joy of the Gospel), FLL is directing our energy and investing in the formation of missionary disciples, on top of our commitment to produce high-quality Catholic media content. The urge by the Holy Spirit to invest in people as well as tools to evangelize (our media productions) requires us to restructure our operations and demands a lot more resources. The Spirit has prompted us to become an agent to pull together all godsent human and financial resources and committed partners in order to accomplish this entrusted vision. So, I turn to you for your generous support in providing for our needs so that we can continue to boldly proclaim God’s love to the world through an empowered congregation of missionary disciples. God has given a mission to each of us and we are all called to be saints in this modern era. Our perceptions of our faith, our role, and our relationship with God determine our path and thus our destiny. May this gala invite all of us to ponder on how we can better receive God’s invitation to each one of us personally and to respond eagerly to His calling to bring Good News to the world and to lead others to do the same! FLL desires to journey with all of you and we need your companionship. We believe that as each one of us lives up to our full potential, to be a missionary disciple of Christ, the Church will truly become a missionary Church, just as what Jesus commands us to be (Matthew 28:19). May the joy of the Gospel keep your faith fully alive!